I was really looking forward to having a peaceful weekend after what had been constant weeks of pressure, anxiety, more pressure and more anxiety. I remember I woke up earlier than I would have wanted to, primarily because my “dada” was going home on that day. Nevertheless, I was eagerly looking forward to a drama free, stress free and pressure free weekend. And then I saw the breaking news on TV: Westgate Mall under Siege. Like everyone else, the first thought that went through my mind was that some seriously crazy thugs had invaded the famous mall in Nairobi. Little did I know that the crazy part would be true, but only that it was terrorists and not thugs! It is true there have been many threats on Kenya many of which have been averted in the past, but out of the ones that have actually happened, this is by far the gravest. The guys who did this cannot be categorized as human beings. How does one shoot innocent people at point blank? Innocent kids for crying out loud, as young as five years of age? I still can’t wrap my mind around this and my heart really feels pained when I imagine what those kids had to endure, of course not forgetting the adults who were caught up in this. In the aftermath of this harrowing experience, what happened after that is what I really want to focus on. 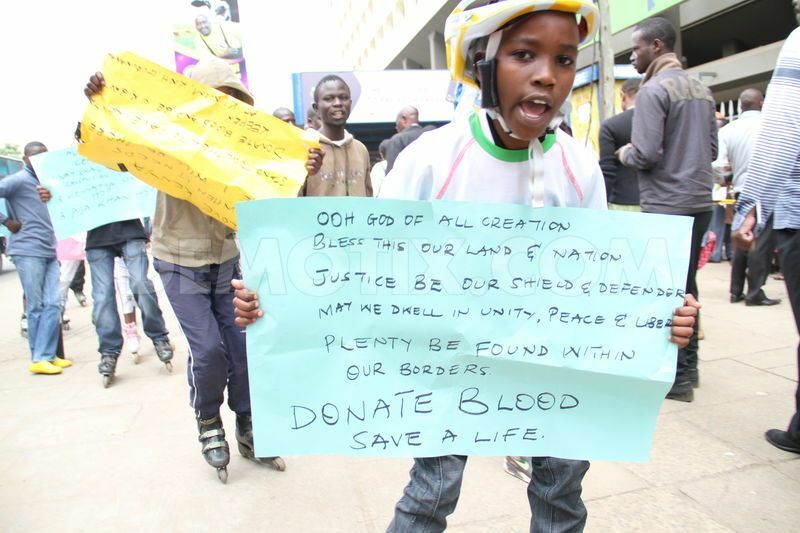 Within 24 hours, there was a blood donation drive that kicked off, and if the pictures we were seeing on Tv were anything to go by, no race or tribe living in Kenya was exempt from this. Anyone who found themselves in a position to donate blood went to the nearest point to do so. A mobile money facility was created for people to send their monetary donations to. For those of us in the diaspora with access to this facility, that’s what we used to make our contributions towards the now (in)famous Westgate Attack Kitty. The togetherness that has been demonstrated and experienced during this whole trying period is amazing; even matatus (daladalas in Kenya) slashed their fares by 50% to make it possible for those who were taking public means to make it to the donation points easily. Young kids were seen on roller skates rallying adults to go donate blood for the victims. How they decided to team up and do this as part of their contribution was amazing and very touching. There was no religious division, nor racial profiling or the usual tribal barriers that were seen during this time. 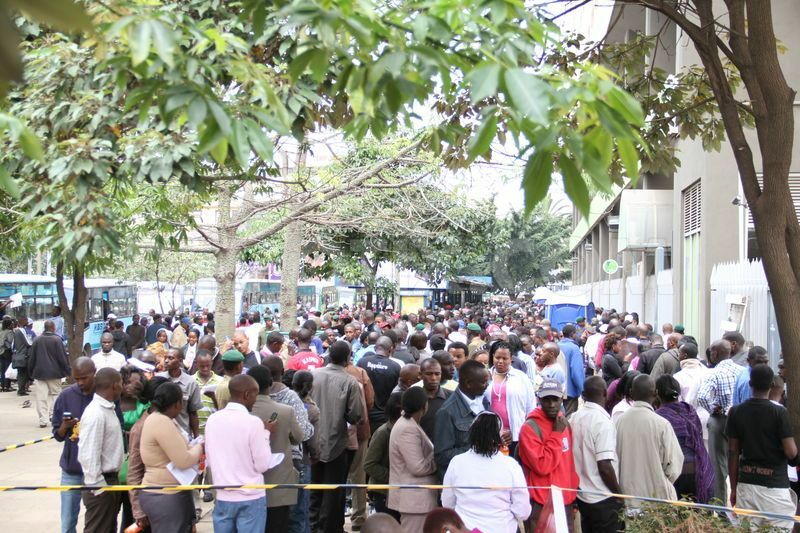 Everyone came together to do what needed to be done and collectively, within a very short period of time millions of Kenya shillings were amassed. By the time I was writing this post, the total amount collected was Kshs. 70M, which when converted into Tshs is about 1.26B. With regards to the blood donated, more than 2000 pints of blood was collected. In fact one person was caught on Tv saying the blood banks in Nairobi were all full, and that they needed to start transporting the rest of the blood to other parts of the country that had a shortage of blood. Actually, what I forgot to mention was that though this incident happened in Nairobi, blood donation drives were being done all over the country, at the request of Kenyans themselves. I will be very unfair if I do not mention that other nationals living in Nairobi also played their part in this by coming together and donating both blood and cash towards this initiative. Specifically, Tanzanians leaving in Nairobi under the leadership of Tanzanian High Commissioner to Kenya, Batilda Salha Buriani on Tuesday joined Kenyans at the Uhuru Park grounds in the blood drive where she offered her support and that of her country as the country picked up the pieces following the Westgate attack. The Commissioner, condemned the atrocities caused by the terrorists at the mall adding that through the immense support shown, it is clear that Africa is united as a continent. To quote her, "I was impressed by the Kenyan people at how they came out in large numbers to donate blood to their own and as Tanzania we also join them to show our solidarity". These words by the Commissioner form the basis of my article this weekend. United we stand divided we fall is a phrase that is so commonly used by countries, in their national anthems and other songs, that it has somehow lost its real meaning. However, this phrase became alive this last weekend when together, Kenyans, friends of Kenya, visitors to Kenya and a whole load of well-wishers joined the #WeAreONE initiative that saw millions of Kenya shillings collected and more blood than the blood banks in Kenya have ever seen donated. If there is a lesson this has taught me is that if we were to quit bickering, if we were to quit trying to outsmart each other, if we were to quit seeing each other as threats, if we were to look at each other as people with a common interest, then we would get so much done with little effort and less time. This approach can be applied to any part of our lives. In the office setup for instance, instead of employees trying to please their bosses the wrong way and in the process hurting their fellow employees, how about working together as a team and collectively getting the accolades as a team. This creates more synergy and reduces animosity and hostility towards each other, unless of course there are joy-riders in the team… well, that’s a story for another time. When it comes to the family setup, it is no different. Unless it is a single parent family, it doesn’t make sense for one parent to think that they know everything about bringing up kids and steering the family in the right direction. No. It takes two to tango, literally, and like I said, unless it is a single parent family, it should take the two parents involved in the family to bring up their kids. No one knows better than the other. Family life or rather marriage, doesn’t come with a manual, a lot of it is trial and error but when the adults involved behave like adults and correct and consult each other with love and understanding, then a nice homely atmosphere is created for the kids who then feel comfortable especially when they see parents speaking in one voice. This sensitivity also ensures that neither of the parents feels alienated or taken for granted. For instance, I am sure you have heard of situations where when the children lack discipline, they suddenly become the mother’s, but when they do well, they are the father’s. How does that make the mother feel? In a nut-shell, regardless of the area of our lives we are looking at, when we come together and do things as one, we get a lot done in a very short time. It’s like lighting a candle. If you have a candle, lighting another candle will not make your candle go off; instead, you get more light when you have both candles lit. Now imagine if your one candle was to light up a hundred others, how much light would you have? Besides, when you help out someone else, there’s always this inexplicable satisfaction one gets deep down. Why trade that opportunity to get this satisfaction, with the guilt of knowing that you could have helped someone else but you choose to be selfish? As I conclude this article today I’d like to say this one thing; when we come together and work together we get a lot done. Indeed it is true that if you want to go fast then you go alone but if you want to go far, then do so in the company of others. To the victims of the Westgate Mall Siege, may all those who died rest in peace. As for those who got injured, I wish them a quick recovery. Wishing you all unity with those around you. PS: Article published in Tanzania's Guardian on Sunday on the 29th September, 2013, under my weekly column "Thoughts in Words"